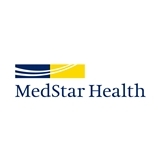 MedStar Medical Group at New Mexico Ave (Washington) - Book Appointment Online! Dr. Kohlerman is very easy to speak to and seems to know his stuff! He promptly and thoroughly addressed any concerns I had. Would recommend.